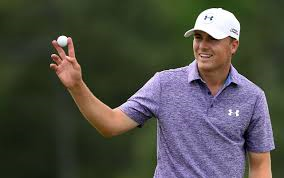 Jordan Spieth narrowly missed a date with history on Monday when he came within one shot of making a playoff for the British Open championship. A win would have given him three victories in majors in one year, something that has only been done twice before. Johnson also showed a lot of class in winning the championship. His tearful humility was refreshing, and his willingness to thank God was heart-warming. Professional golf certainly can benefit from its stars showing some class. A few years ago, one of golf’s best players was known for being able to drive the ball a mile, but also for trying to see how many beers he could force into his sizeable body when he was off the course. Another star was quite adept at shouting obscenities every time he hit a great shot. He also earned headlines for his wildly immoral sexual escapades. Yes, it sure is good to see some class on display. “In the same way, let your light shine before men, that they may see your good deeds and praise your Father in heaven.”—Matthew 5:16. This entry was posted in Christian Living, Sports and tagged British Open, British Open championship, doing good deeds, golf stars, illustration, Jordan Spieth, let your light shine, Matthew 5:16, showing some class, Tim Dahlberg, Zach Johnson. Bookmark the permalink.